Florence, Ky. - The 2013 induction class of the National Dirt Late Model Hall of Fame was made prior to the running of the 42nd World 100 at Eldora Speedway. For 2013, voters selected five drivers and three contributors in the class along with the Hall’s annual Sportsman Award. This year’s group includes Kentucky runner Eddie Carrier Sr., late Iowa legend Darrell Dake, top Arkansas veteran Bill Frye, Indiana driving star John Gill and Minnesota touring pro Willy Kraft. The contributing category includes longtime race director and renowned announcer Bret Emrick, chassis wizard Joe Garrison of GRT Racecars and Southern Late Model sponsor and supporter Jack Starrette. 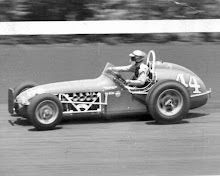 The Hall’s Sportsman Award went to popular Indiana racer Don O’Neal. Eddie Carrier Sr. of Burgin, Ky., began his career in late models in the late 1960s, which saw him eventually dominate Eastern and Central Kentucky dirt tracks for a number of years. 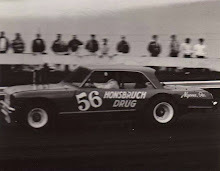 Carrier driving for car owners such as Bobby Paul, Donny House, Bob Miller and others won a number of big events from Ohio to Florida. Now retired, Carrier serves as crew chief for his son, Eddie Jr., who is a top dirt late model competitor. Darrell Dake racing out of Cedar Rapids, Iowa, motored his famous number 8 racers to over 400 wins covering five decades of a sterling career. The veteran Hawkeye racer who passed away in 2007 participated in IMCA, USAC and NASCAR but was King of the Eastern Iowa and Western Illinois dirt track region, earning countless big victories and titles along the way. 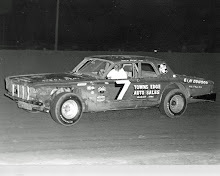 The semi-retired Bill Frye rose to fame piloting the GRT house car to a number of national victories. The Greenbriar, Ark., star is a 5-time MARS series champion, also having won hundreds of victories with other groups such as MLRA, Southern All-Stars, STARS, Hav-a-Tampa, NCRA, SUPR, UMP and others. John Gill, known as the modern day cowboy, is one of the sport’s most popular figures. In a career that began in 1981, the Hoosier state veteran has driven to over 300 wins and a number of titles including the inaugural UMP Summernationals in 1986 and a pair of UMP National series championships. 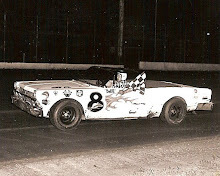 Lakefield, Minnesota’s Willy Kraft drove to over 350 wins in his familiar famous numbered 83 race cars. Kraft was a national traveling pro on dirt tracks throughout much of the 1980′s and 90′s, winning races from South Carolina to Pennsylvania, to South Dakota to Arizona. He was also the USAC National Late Model driving champion in 1988. 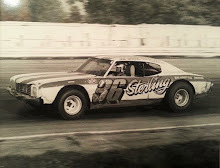 One of the most recognized voices in Dirt Late Model racing, Bret Emrick began his career as a track steward and announcer at Lakeville Ohio Speedway back in 1980. The Ohio native has worked at the mike at a number of America’s speedways and has also served as race and competition director with STARS, UDTRA and the World of Outlaws. 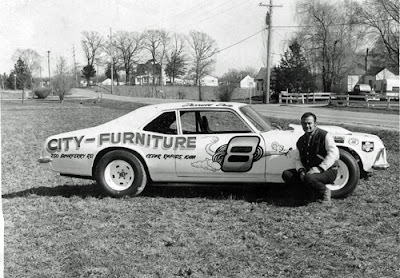 Joe Garrison founded his GRT Race chassis company back in the early 1980s and quickly became one of the top manufacturers of race cars in the business. Through the years the Arkansas car builder’s racers have won from coast to coast and have conquered about every notable Dirt Late Model event and series title in the sport. 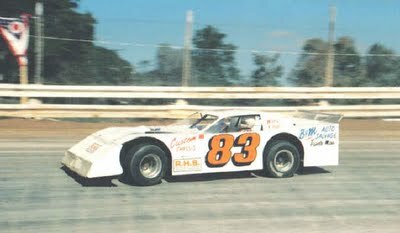 Known by many as Mr. Jack, Jack Starrette will be long remembered as the Southern Ambassador to Dirt Late Model racing. The Augusta, Ga., trucking magnate, who passed away back in 2010, was a longtime generous sponsor of dozens of race teams throughout the Southeast.